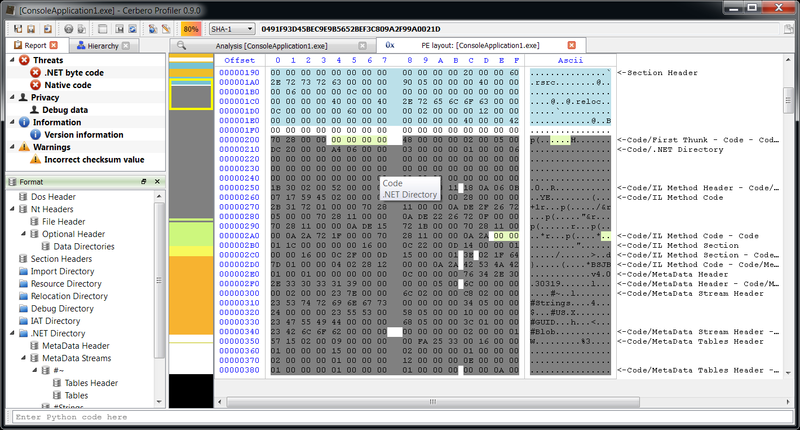 Although there haven’t been customer requests for this, the upcoming 0.9.0 version of the Profiler adds support for .NET, which includes format, layout ranges and an MSIL disassembler. As usual, let’s begin with the format itself. 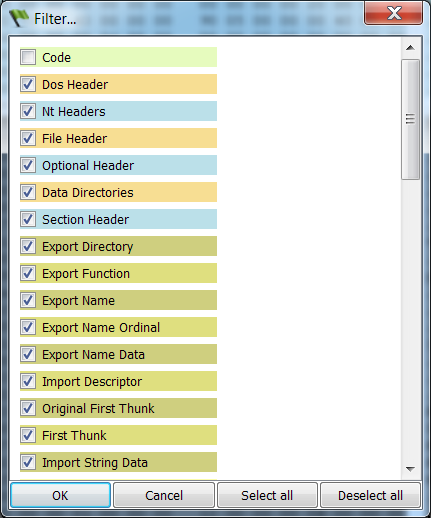 Since some users probably have used CFF Explorer to inspect the .NET format in the past, I have kept the same format view in the Profiler as well. So how is it better than CFF Explorer? First of all, it’s very fast. There’s absolutely no wait time in opening a large metadata set as the following. And then one handy feature which was not available in CFF Explorer, is the capability to display a second set of metadata. For instance, .NET native images (meaning those files in the assembly cache created with ngen.exe) contain two sets of metadata. 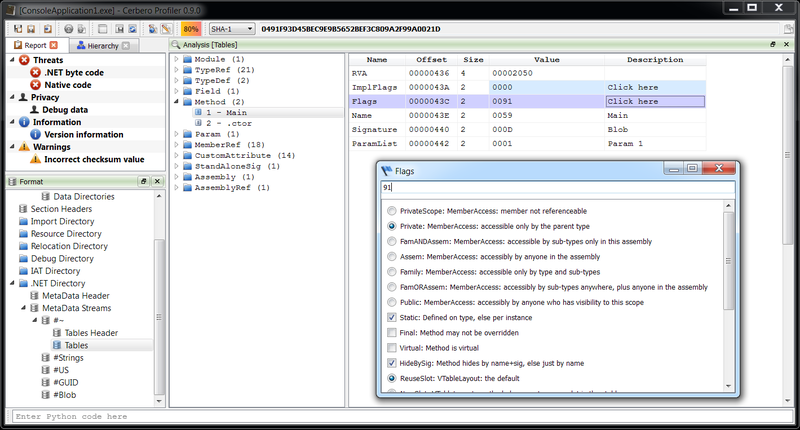 The Profiler lets you inspect both sets. Let’s see them in the hex editor. If you’re asking yourself why it’s all gray, it’s because more ranges are blended together, meaning that all .NET metadata is contained in the .text section of the PE and that section is marked as executable even if the assembly contains only MSIL code. While it doesn’t make much sense to mark as executable a region of data containing strings and tables, my best guess is that old versions of Windows had no in-built support for .NET in the loader, which is why assemblies contain a single ‘mscoree.dll’ import descriptor and the entry point is just a jmp to the only IAT thunk (_CorExeMain for executables, _CorDllMain for dlls). That API then loads the .NET framework if necessary. Since that single native jmp instruction requires a section in the PE marked as executable and because the granularity of sections is the same as virtual memory pages, it was probably considered a waste to use an entire memory page just for a jmp instruction and so the result is that everything is contained into a single executable section. This could probably be changed as new versions of the framework do not even run on older systems. However, for our inspection purposes it suffice to get rid of the Code range by pressing Ctrl+Alt+F. We can now inspect .NET layout ranges without the conflict. One nice aspect about it is that the code of IL methods is easy to distinguish between its header and extra sections. 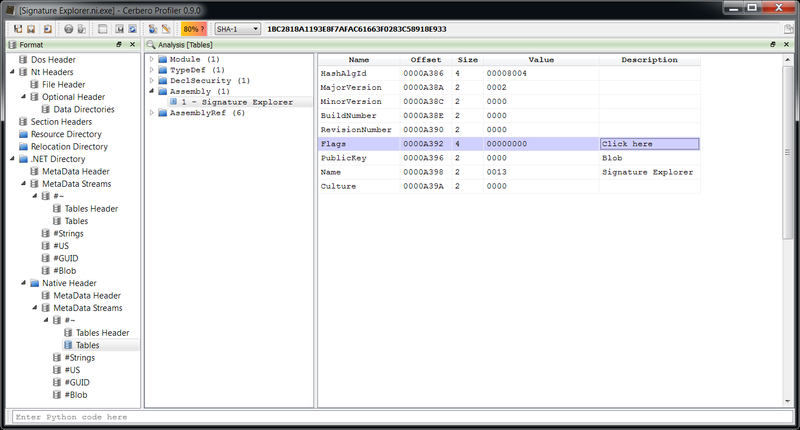 Included is also an IL disassembler. Its purpose is to let our customers quickly browse the contents of an assembly. As such readability was a priority and the output has been grouped for classes: I have always found it cumbersome in ILDasm to open every single method to inspect an assembly. There’s one last thing worth mentioning. 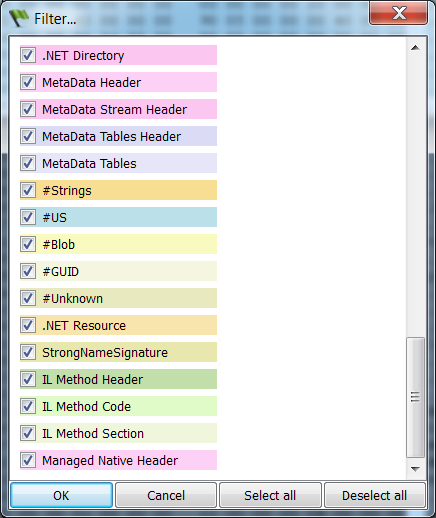 .NET manifest resources are displayed as sub-files. 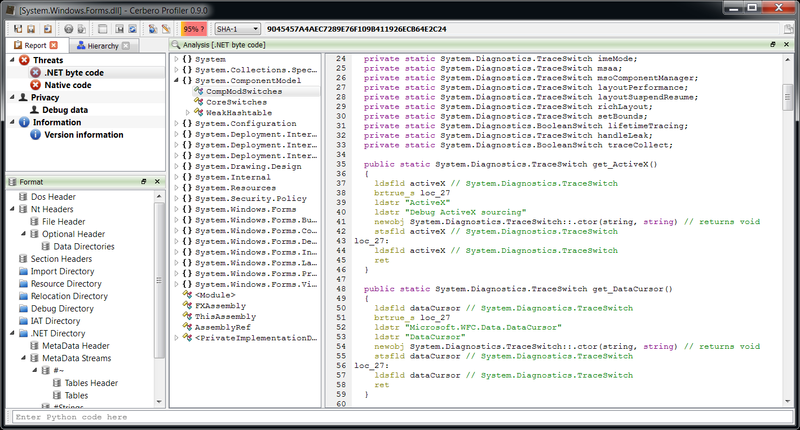 However, the parsing of ‘.resources’ files was still too partial and thus won’t be included in 0.9.0. From the last two posts you may have guessed the topic of the upcoming release. So stay tuned as there’s yet more to come.